Gateway Diesel has been your home for fuel injection, turbo, and part specialists for more than 46 years. Established in 1964, Gateway Diesel takes pride in providing the best in fuel injection, service, parts, and repair. As an authorized fuel shop and a central distributor for a variety of product lines, we are confident we can fit your diesel needs. Why pay for a new set of injectors when we can get factory remans or repair yours for a fraction of the cost? 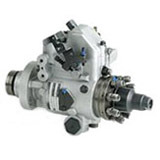 At Gateway Diesel, our turn around time to repair pumps and injectors are 2-3 days. We also accomodate emergency calls with a prompt turn around time. When it comes to reliability and satisfaction, our company is second to none. We provide quality products at an affordable price and we strive to please every customer that comes through our door. Call today to see what our company can do for you.